About a week ago I received a fairly typical e-mail from an individual who was inquiring about whether I could help provide certain services. As you can probably imagine, I get inquiries from people looking for all different kinds of legal services, and I also get a lot of e-mails from those who have great ideas and want to sell the idea to a giant corporation and reap the rewards that come with providing them with an idea. As I explain in Protecting Ideas, ideas cannot be protected and reputable companies do not even listen to ideas. Reputable companies are going to require that you have at least a patent application pending, which will define your idea with enough specificity to call it an invention. This is not for your protection, but rather for their protection. If they listen to an idea that is not very well formulated and then proceed with a product or service that is similar, which they may have been working on for quite a while or acquired elsewhere, that just opens them up to a disgruntled individual, who may sue. To put things into context here is the text of my communications with this individual, with the name of the companies she wanted to target removed. INQUIRY: I have an idea I would like to try to sell to … or …, I am the only one that knows about this and I have not talked to any one about my invention. I need to know what do I do now. I don’t want to spend thousands of dollars to patent an idea I just want to sell the idea to someone and let them take it from there. Can you help me? RESPONSE: Unfortunately, we are not going to be able to help you. Reputable companies do not pay for ideas, and the patent process is a costly one, so if you are not interested in spending the money required to seek a patent then there is no realistic chance you will be able to monetize your idea. REPLY: YEAH, THANKS. I will find a company that will help me. RESPONSE: You will not find anyone reputable to help you. If you do find a company to help you based on your request they will be a scam. You can certainly do whatever you like, but it is important for you to understand that ideas cannot be monetized and anyone who tells you otherwise is lying to you. I have no doubt you will find a company willing to take thousands of dollars of your money based on false promises. Beware. I have, of course, removed any identifiable information. My goal is not to poke fun at or otherwise embarrass this person. My goal is to provide some information to the many folks out there who have ideas and listen to the pure garbage spewed on the TV commercials and radios that solicit those with “an idea” to contact them so they can sell their “ideas” to companies for large profits. This simply does not happen, the claims of riches for an idea are fraudulent and those with ideas or inventions need to beware! We enjoy working with inventors a great deal, however one of the greatest frustrations that we encounter is when we try to provide constructive criticism on various facets of the invention or hurdles that may be evident with their particular product. Since we work on contingency, if we choose to pass on representing an invention, rather than look at the substance of why we believe the invention may be difficult to commercialize or license, inventors will conclude that we are somehow an illegitimate company. They assume that anyone not in love with their invention must be unintelligent or a scam. On the contrary, when a company provides opinions with evidence and experience, no matter what the result, inventors should listen. It would be far easier to tell every inventor that they have a great invention and then charge them tens of thousands of dollars for services, but at Lambert & Lambert we are trying to actually help inventors – even if our opinion is not what they want to hear. It is important for those with ideas and inventors to understand that Trevor is not exaggerating. 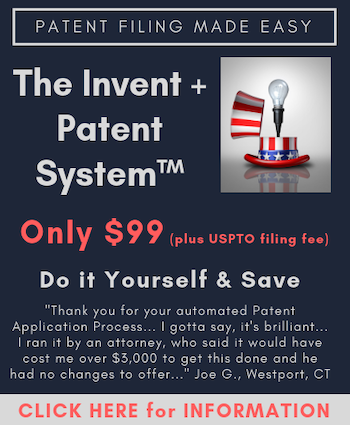 It is easy to spend tens of thousands of dollars on an invention, from obtaining patent protection to designing a prototype to marketing and licensing, the money adds up quickly. If you get bad news it is not because the person giving you the information you don’t want to hear is a scam, it is because they are not a scam. One tell-tale sign of a scam is that they tell everyone they should pursue their invention or idea. It is pure and simple ridiculous to believe that every idea or invention should be pursued. Like I tell inventors I work with, inventors are a creative group of people, just like artists and musicians. It is naive to think this will be your last invention, so the goal should be to proceed in an efficient and economical manner so that you do not unnecessarily waste money on one invention, leaving you with no money to pursue your next idea or invention. While inventors are completely justified in seeking second opinions, continued shopping around until you get the opinion you wanted to hear in the first place is not wise. You can always find an opinion that says you should proceed, because that is how the scam artists in the invention space operate. Scam companies do patent searches and find nothing and tell you that you should move forward. If anyone ever tells you that a patent search revealed nothing you should run away! With over 7.5 million issued US utility patents and over another 1 million pending utility patent applications, it is fairly well impossible that nothing can be found. Even if your invention is revolutionary there would be prior art. As an inventor myself, I understand that an invention is an important part of what makes us who we are. We spend so much time thinking and working on the invention that we lose sight of reality, at least to some extent. Every inventor does it, including me. It is natural, it is understandable, but you need to at least listen to those who come bearing bad news because those are the folks who are being honest with you for sure. After all, if you come looking for representation and have the funds to pay, would someone who is a scam artist turn you away? Of course not. The best things an inventor can do is keep a detailed invention notebook and do your own patent searching to see what you can find. If you find nothing in your own search understand that is typical and to be expected. Once you do your own search and find nothing it is time for a professional patent search, who will find much more. People we do searches for always tell me they have looked and couldn’t find anything, and initially are always disappointed to find that we found so much that is close. It is better to know and consider what is findable then not to know, waste thousands of dollars, and worse yet write an application that fails to accentuate the positive aspects of your invention that could be protected. Finally, always do a Google search on any company you might be inclined to work with before you spend money. The most notorious scammers are well known, and easy to learn about with a simple search. Admittedly, finding reputable people and companies in the sea of information that is the Internet can be a daunting task. Luckily, the United Inventors Association is creating a “white list” of solid, reputable and safe providers. I am a certified professional by the UIA, so is Lambert & Lambert. Certified Pros go through rigorous screening and fact checking. I know because I am also a Board Member of the UIA and Chair of the Professional Membership Committee. So if you are inclined to work with those who are not UIA Certified Professionals, you might want to ask why. EDITORIAL NOTE: By way of full disclosure, Lambert & Lambert is a sponsor of IPWatchdog.com. I am glad to have them as a sponsor because I know that they adhere to rigorous ethical standards and are one of the “good guys” in the industry. For what it is worth, our firm has referred work to them because we always try and steer our clients to work with reputable professionals.